Advertisers are paying more to air Super Bowl ads this year, as well as more to market the ads before the big day. The average price of a Super Bowl ad has more than doubled over the past 10 years. According to figures from Kantar Media, the average price of a 30-second in-game Super Bowl ad was $2.4 million in 2007. This year, advertisers must spend an average of $5 million to secure a 30-second commercial slot. About 80 national commercial slots were available for purchase this year. Consumer attention has become increasingly important in the age of smartphones and social media. In recent years, the average production cost for a Super Bowl ad has risen to about $1 million. These glitzy ads often need a big budget to employ big-name Hollywood directors, popular actors, major creative agencies and advertising houses. For example, a 60-second ad for this year’s Super Bowl from Mercedes-Benz stars iconic Easy Rider actor Peter Fonda and is directed by the Academy Award-winning Coen brothers. The willingness of companies to pay record prices for Super Bowl ads is not surprising. 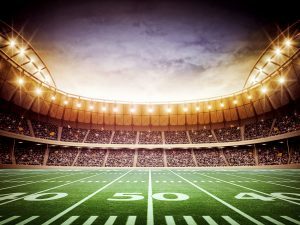 The Super Bowl is still a rare opportunity for companies to reach more than 100 million viewers on a single day. Last year, the game drew nearly 112 million viewers, 3 million short of the record 115 million people who watched the game in 2015. Many companies are releasing teasers and full versions of their ads before the Super Bowl to generate hype around their ad campaigns. Today, the Super Bowl ads are often just one part of a broader brand campaign. This year, Snickers’ Super Bowl commercial will be accompanied by a 36-hour live stream, highlights posted to Facebook, and behind-the-scenes footage. YouTube has seen the number of companies pre-releasing and promoting Super Bowl ads before the big day increase substantially over the past few years. For the past nine years, YouTube has sponsored an AdBlitz competition, which encourages viewers to vote for their favorite Super Bowl ads. Most of these ads are released and seen widely before the game. Social media platforms have monetized all the extensions around the Super Bowl, making it difficult for companies to generate the online buzz they want without buying a spot. Twitter, Facebook, Instagram and YouTube all have different types of ad buys companies can make to take advantage of the excitement surrounding the game. iShares MSCI EAFE Small-Cap ETF Shares Sold by American Century Companies Inc.
Olin Co. Position Trimmed by American Century Companies Inc.
40,528 Shares in Extended Stay America Acquired by American Century Companies Inc.